For full membership information, please go to the Member Center. From this page, you can join ASPB, edit your profile, review your invoices, check your membership status and renew your membership, join an ASPB section or purchase items from our store. If you need any assistance, please contact us at info@aspb.org. New memberships will now have anniversary expiration dates. Multi-year memberships are now available. Those who work in academia, government, and laboratories, industrial or commercial environments. Those who have received their doctorates and are employed as postdoctoral associates. Those pursuing a degree in the field at the graduate level. Those pursuing a degree in the field at the undergraduate level. Awarded, upon application, to retired persons who have reached age sixty-five and who have been Society members continuously for twenty years or more. Contact Us for more information or to become an Emeritus Member. For those who do not qualify for Emeritus, but are retired from plant science professional careers. 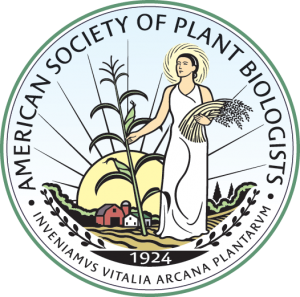 Help your students put down roots—provide them with membership in ASPB! Have you thought about sponsoring your student’s or postdoc’s ASPB membership? If you submit their membership application with your membership fee (if you are not already current), you will get a $5 discount on the membership fee for each student you sponsor. All you have to do is submit this application. Why provide ASPB membership to your student? Students are the future of plant biology; if we get them involved now, they are more likely to stay involved throughout their career. Give Your Students Roots so they can grow to become an integral part of the plant biology community. Click here to apply today or contact Shoshana@aspb.org for more information. Redeem 50–60 JournalMiles for ASPB membership. The Plant Cell and Plant Physiology recognize the value of your contribution to the plant science community and have instituted Journal Miles awards. As a small token of our gratitude, we assign 10 Journal Miles for each review completed in a timely manner. Your Journal Miles will accumulate with each review you complete and will be active for 24 months. They may be redeemed for merchandise or membership in the American Society of Plant Biologists.